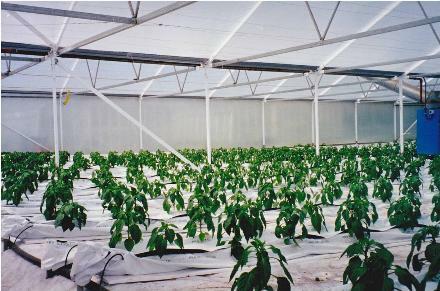 The Maxi Spans proven design with a 27°steep pitch, fully trussed, roof and leg heights of up to 3.5 metres, large galvanised walk-in gutters, ensure a bigger crop area with better air circulation for dense foliage. 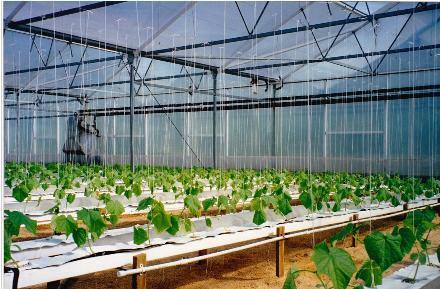 Minimal condensation drip and exceptional water drainage reducing possible leaks and offering ease of servicing even when a crop is planted. 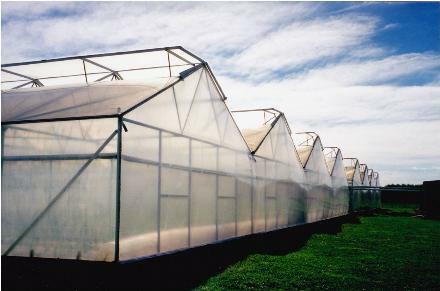 Choose your crops ventilation needs from the huge 1.75 to 3.5 meter (5 ft 9in - 11ft 5in) wide roof mounted gull-wing ridge vents. Single, double, manual or automated. 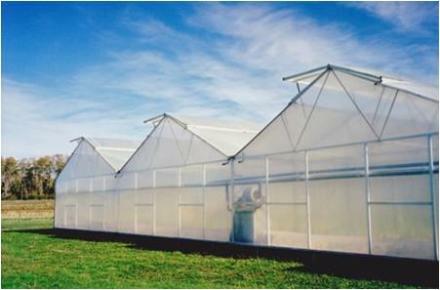 The grower has less risk of disease, lower humidity and better all round ventilation. 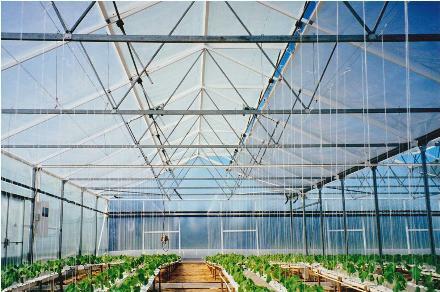 The Maxi Span is engineered for crop loading of 15 Kg per M² (3lbs per square foot) as standard. This means no extra posts and therefore reduced costs. The CAD designed structure can easily be set for snow loading conditions and university testing has proven it to withstand wind speeds of 40 metres (132 feet) per second. The Maxi Span design has been well proven in a wide range of climates from tropical to alpine. The unique modular design patented by Harford's ensures simple and fast construction on site without the need for scaffolding or cranes and offers limitless expansion when required. Enabling you to keep growing, while you keep growing. The Maxi Spans all steel frame is fully galvanised and can be fully coated in white powder coat to offer a smart appearance and give extended cover life. 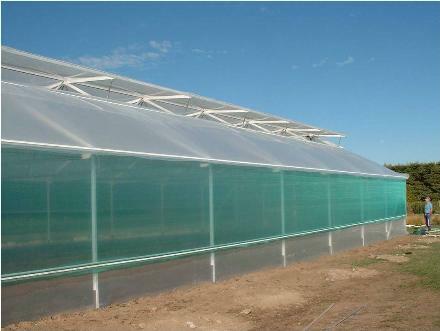 The interior framework is designed to offer maximum light levels to your crop. Premium quality high technology covers reduce heat loss by half over traditional coverings, at the same time offering superior anti condensation benefits. Covers are held in place by Harford's Cliploc two piece reusable fastening system, which enables replacement quickly and saves money. Available as a kit-set ex our factory, or full professional construction by our dedicated contractors. Unique modular construction means any size, any site? 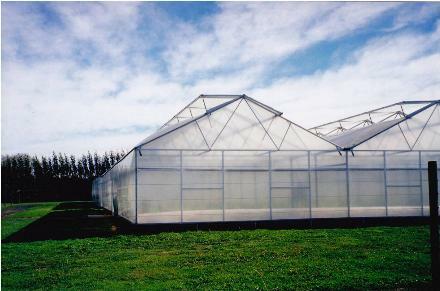 Fully galvanised steel frame to ensure strength and long life. 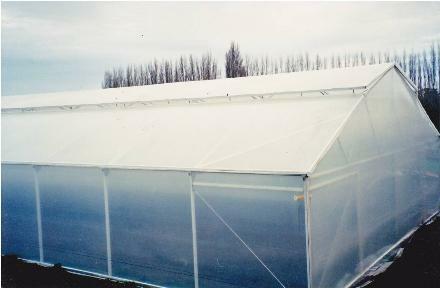 Size: Single or gutter connected spans of 9.2 metres (30 ft) extendable lengthways in 3 meter (9 ft 10 in) modules. Ventilation: Single gull-wing roof vent 1.75 metres (5ft 9in) wide Optional Double vent 3.5 metres (11ft 5in) wide at extra cost Manual or Motorised options with full automation if required. Doors: Single, double or triple door openings at any location, side or end. Automation: Single or three phase gearmotors as standard. 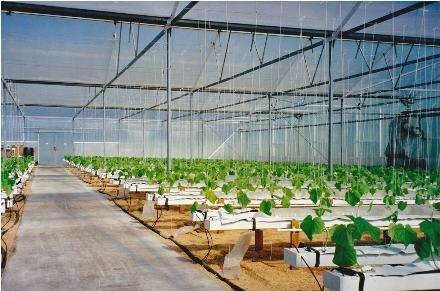 Temperature, wind and rain control systems available up to the fully computerised environmental control system. All built to the customers specification. 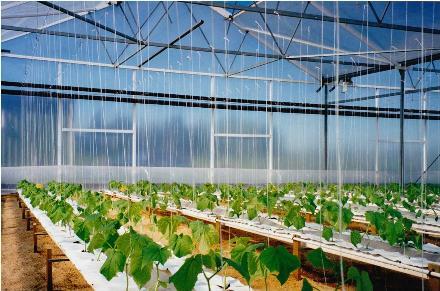 Misting and fogging systems can be supplied if required. 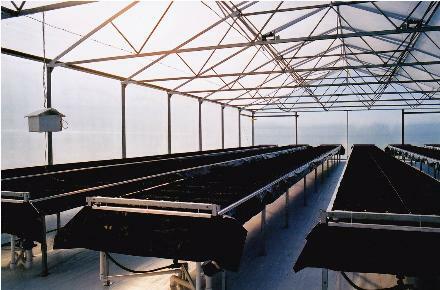 Full turnkey hydroponic systems supplied if required.